According to the most recent data from the Centers for Disease Control and Prevention, about half of all pregnancies that occur in the United States every year are unplanned. In other words, half of all pregnant women are the target customer base of the abortion industry. This industry exploits fear tactics to increase abortion sales, creating an echo chamber of terror in the minds of pregnant women who suspect or are convinced that abortion is the only viable way out of a supposedly hopeless situation. However, the abortion industry has a competitor that is driven not by profit, but by deep compassion for women and their pre-born children. Each year, pregnant women all over the country considering abortion will visit life-affirming pregnancy centers– facilities offering options counseling and a range of resources for her and her child. Some of these centers also offer no-cost medical care, from pregnancy tests and ultrasounds to STD screenings and well woman exams. The purpose of these clinics is to provide care that affirms a woman’s value and gives hope during a difficult time. With the wellbeing of women and the lives of children at stake, pregnancy centers stand to benefit greatly from the uniform application of best practices in the field. However, research on and development of best practices for pregnancy centers are rare and not always current, leaving caregivers and staff to default to arbitrary care guidelines. One organization is growing a network of life-affirming women’s care clinics, and has assumed the challenge of developing best practices. They do so by collecting and evaluating data on various test practices and counseling tweaks to maximize the number of life decisions made by clients. Researchers at the Dallas-based Human Coalition worked in partnership with their network of women’s care clinics throughout the country to apply several unique practices and measure the results empirically. The resulting metrics could be directly applied by pro-life pregnancy centers across the country to yield a higher rate of women choosing life for their children (i.e., non-abortion decisions such as parenting and adoption). In 2015, Human Coalition studied methods of increasing a client’s perception of her baby as a unique person, since this helps to establish the maternal-fetal bond which in turn yields a higher likelihood that the woman will reject abortion. Human Coalition tested the hypothesis that playing a song that is muffled to mimic the sounds babies hear in utero could help to establish this maternal-fetal bond. 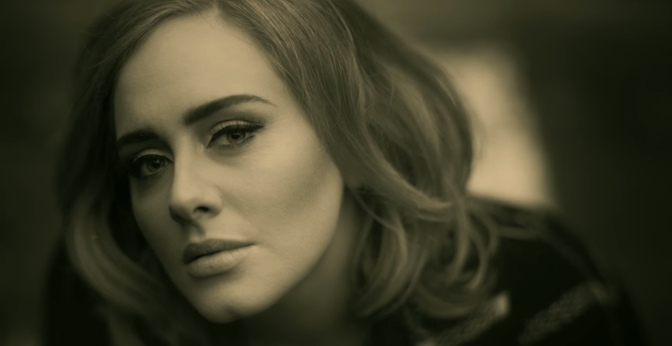 Human Coalition developed a sound clip from the popular Adele song, Hello. The experiment was conducted at one of Human Coalition’s women’s care clinic in Grapevine, Texas, where care coordinators and nurses conducted client appointments identically to ensure consistency. After checking in for their appointments, clients took a pregnancy test. The pregnancy test, if positive, was followed by an ultrasound conducted by a nurse or a care coordinator. During the ultrasound, the nurse or care coordinator explained aspects of fetal development to the client. After the ultrasound, a care coordinator counseled the client. During the counseling session, the care coordinator asked each client whether she was considering keeping the baby. This important question incorporates choice into the counseling session and affirms the woman’s power over her options. Empowered by this affirmation, the woman is then invited to choose whether or not she would like to hear the Adele sound clip. The clip plays normally at first before being muffled to demonstrate how the baby would hear the song from the inside. The muffled sound establishes a point of difference and sameness between the mother and child, contributing to their bonding. The mother and child are the same in that they can both hear the song, but are different in their perception of the sound due to the baby’s location in utero. What Human Coalition found was that a woman’s choice of whether or not to listen to the clip was a strong indication of her likelihood to choose life. In fact, clients who agreed to listen to the clip were almost 3 times more likely to choose life in comparison to the group that chose not to listen to the song. Statistically speaking, those are significant results. What can pro-life pregnancy centers learn from this experiment? The test demonstrates that an increased perception of her baby’s personhood through oratory senses helps a woman in her decision-making process. Thus, while this method may not sway a woman who already feels strongly inclined to undergo an abortion (i.e., it is not a decision-making variable), the test is certainly a support variable which can help counselors determine where the client is in her decision-making process.